A few months ago DGEX and NXT Chance joined forces to develop games for the 2nd gen cryptos, and Gamule was born. 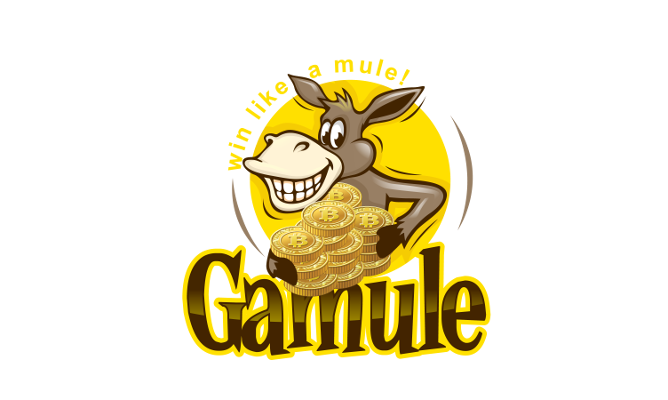 Gamule strives to provide simple yet pleasurable gaming experience with low barrier to play. We start with a suite of three games, refined from the popular crypto gaming concepts. We are planning for the long haul, growing alongside 2nd generation cryptos, making plans for more features and an expanding user base. The development of our next multiplayer game is already well underway. - Demo mode - try the games without deposit! 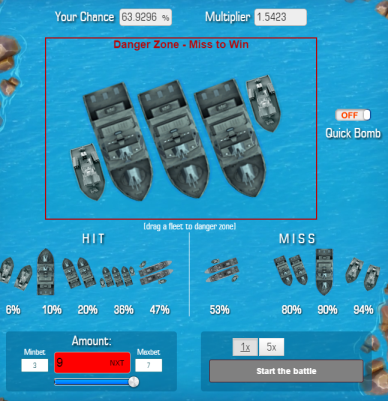 Players can place and move different sized ships and fleets into the Danger Zone and bet on whether bombs will hit or miss their ship/fleet. It's even more fun when you choose bet multiplier, making it rain bombs; 5, 10 or 25 bombs at a time. You should also try the "Quick Bomb" option, this will be the favored play mode for many of you. When this option is on, you don't have to push a button to bet, just move your ship/fleet around. When you (drag &) drop it, bombs will fall. A variation for the well known Dice game. Choose a number between 1 and 64000 and roll the dice. If the lucky number is lower than your chosen number, you win. Soon with auto-betting. Make thousands of bets with one click. 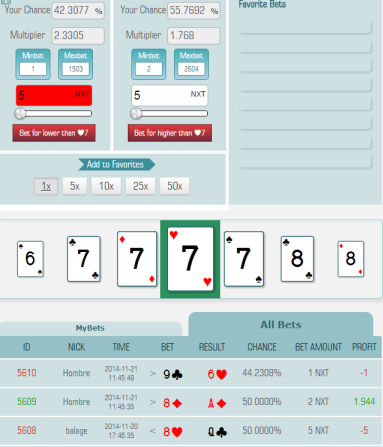 Select a card from the deck and bet if the luck card will be higher or lower. Different suites also count! Try us out - but beware, it may be addicting (especially if you win like a mule)! For thin (sic) foil hats: Emule = Graviton? I was very skeptical, but I tried out the games and the battleship game is really fun. A huge variety of ways to play. I like that I can just deposit and play. No account setup, etc. Next upgrade, make those ships look super cool! The battleship links on your post go to the dice game. Thank you, we think so too. While the dice and card games are fun, they are nothing groundbreaking. But we feel the ship bomber is something that gives a very good game experience. We'll see how popular the game gets. The good thing is we can make it with various themes and graphics if there is demand. For example we talked about a spaceship version, with a night sky background. For example we talked about a spaceship version, with a night sky background. Yes, the engine offers pretty good options for customization. Once we add the public API things may get interesting when looking at the opportunities of offering numerous games by just updating the gfx theme and some parameters. We also talked about the future multiplayer version, making it more like a real 2nd gen variation of the old (and easily boring - too slow - as online game) battleships. That's not an instant mod, however our developers have already proven they are capable of developing semi-complex simplistic games within convenient schedule. Just a quick announcement to let you know that the maximum winning amount (on one bet) was modified to 200 NXT and 2000 FIMK for the time being. We are working on a dynamically adjusting max win algorithm that will provide an unique feature and offer huge, Jackpot winning possibilities. 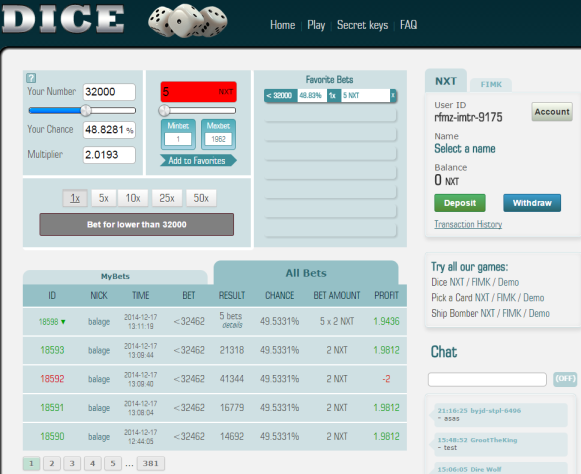 Make hundreds or even thousands of bets with a click of a button. is there a way to see all bets from all users across each game, besides scrolling through?? it would be nice to see the win/loss totals so we can calculate the total profit/loss for shareholders.. The games are designed to be kind of separate, so no, not at the moment. Global stats will be available later. We are not planning any classic games like roulette or blackjack, we have some more unique games in mind. i like that there will be new games.. but i dont think there are any classic casino games available for nxt, i think it would be a big hit..
Our first contest is under way. Real NXT prizes to be won.